Fire Safety and Prevention Week is October 5-11th. Teaching Fire Safety is easy when you have the help of Sparky the Dog! The National Fire Prevention Association (NFPA) provides a variety of fun free apps and other resources for teachers to use in the classroom.Sparky.org and SparkySchoolHouse.org both provide fun activities for students to learn about Fire Safety. They have also provided specific lessons related to their apps. (Check out the Resources) They have made learning fun with music videos like "Little Rosalie." Or this one with What’s That Sound? Can Recess Monkey and their gang of pals brave Sparky’s flying smoke alarm to learn what it takes to stay fire safe? Make sure you also check out their newest app, The Case of the Missing Smoke Alarms! Teach kids important fire-safety skills. This free app is full of games, activities, and sing-a-longs. Most importantly, it is aligned to Common Core State Standards in English Language Arts and Math. 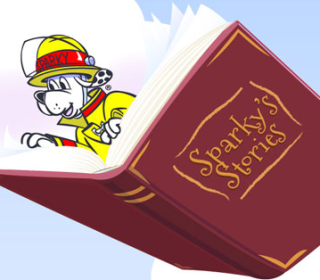 Don’t miss out on any exciting news from Sparky the Fire Dog! Sign up for Safety Source, NFPA’s public education newsletter today.